According to OlisaTv, Two students from the University of Calabar (UNICAL) and one other student of the Cross River University of Technology (CRUTECH) were allegedly shot by soldiers attached to the state security outfit, Operation Skolombo, during a protest staged to demand the sum of N13 million reportedly donated by Governor Ben Ayade and Senate Minority Leader, Senator Godswill Akpabio. The students are currently receiving treatment at the Accident and Emergency Unit of the University of Calabar Teaching Hospital. 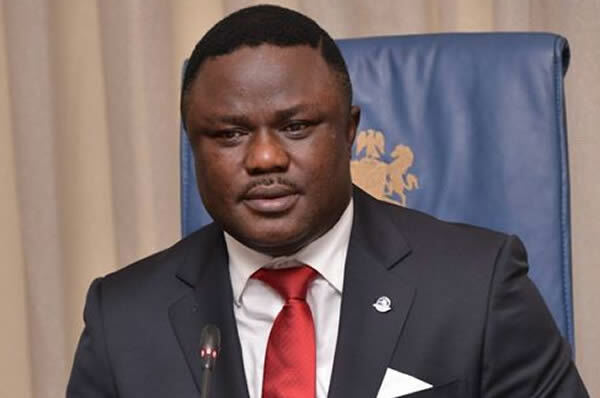 Ayade and Akpabio were said to have donated the disputed sum at an event held to mark the 50th anniversary of the creation of Cross River State. They reportedly detailed the state Commissioner for Youth and Sports, Mr Asu Okang, to distribute the money to students mobilised to attend the event. Okang, however, disappeared without disbursing the funds. Angered by Okang’s continued refusal to distribute the largesse, the students staged a protest on Saturday but were allegedly dispersed by soldiers with tear gas and live bullets. An eyewitness and a student of UNICAL, Emeka Ikechukwu, said there were indications that Okang planned to release only N3m and keep N10m to himself, thereby invoking the anger of the students. “We learnt that it was the commissioner that called the state security adviser to disperse us by force. The commissioner had actually come with N1m for UNICAL students, N1m for corps members that were also mobilised, N500,000 for CRUTECH students and another N500,000 for students of the state School of Health Technology. “But we felt that the amount was not what was announced. So, we sought to know where the balance was. That was how the trouble started,” Ikechukwu said. Punch reports that Okang has denied inviting the security agents who shot at the students and explained that there was a delay in getting the promised money from the finance commissioner as a result of bureaucracy. Okang added that he initially gave the students N3 for their mobilisation and subsequently paid the balance when the money was released. President of the Students Union at UNICAL, Anthony Afufu, however, faulted the commissioner’s claims and promised to organise another protest. In December 2016, a special assistant to Governor Ayade was attacked and severely beaten by students mobilised to attend an event after similarly failing to disburse funds promised by the governor.